On January 3, 2018 Scott Mullett passed away in his home. He was an honored and long-time member of the VJC's year round and summer faculty. He will be missed deeply and his musical and mentoring contribution cannot be overestimated. Scott Mullett has played and toured with some of the best big bands in the world. After attending Berklee School of Music, Mullett toured with Woody Herman, Artie Shaw, and Mel Torme, and joined the national tours of Cats and 42nd Street. He has performed with Tony Bennett, Aretha Franklin, Stan Getz, Lou Rawls, Ben Vereen, Cab Calloway, and many other notable performers. 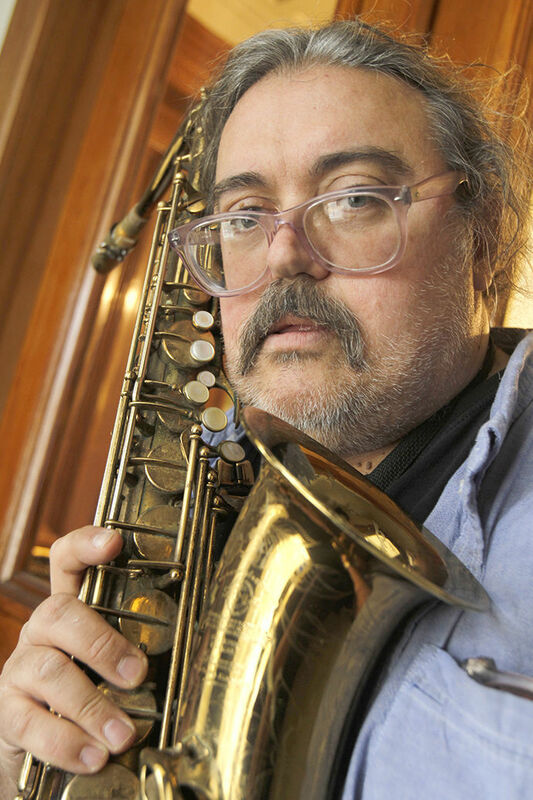 Mullett has been a working musician ever since, and is now a first-call saxophone player for the greater Boston area, doing commercial studio sessions, and performing regularly with the White Heat Swing Orchestra and the C-Jammers. He has taught saxophone clinics at Berklee. After serving as Musical Director for Royal Caribbean Cruise Lines in the 90's, he came back to the Monadnock Region and continues to play jazz and teach in the Boston area as well as the Keene area.